I now have two licensed teen drivers - Solomon (17) and Isaac (16). Let me tell you, as a parent, I have never prayed for my kids as much as since they started driving. 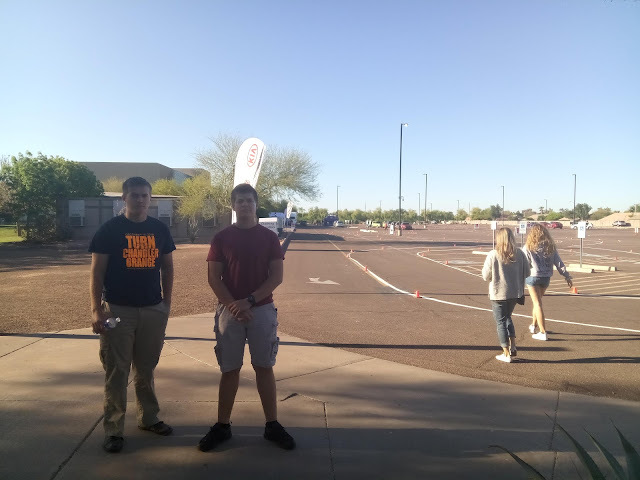 We followed the same protocol with both: They get their learner's permit at 15 1/2, then spend the next 6 months being taught how to drive by me, followed by a professional driving school (that even without prior teaching fulfills the AZ learning requirements), and also administers the on the road test required to get their license around the time they turn 16. The driving school is not mandated by law in our state - the law only requires kids pass the theory test administered by the MVD and complete at least 30 hours behind the wheel with a parent instructor - but personally I feel a lot better knowing that a professional driving school is going over everything a second time with them, covering any bases I might have missed. Not to mention they get driving practice and learn how to parallel-park in a normal vehicle and not just my 12-passenger behemoth van - ha! After they get their license, I continue to have my new drivers get as much practice as possible, making them drive every time we are riding together, with me in the passenger seat providing feedback and instruction. I also don't let them drive by themselves just because they have a license until I am fairly confident in their (obviously limited) abilities. Ideally, kids really should not get behind the wheel by themselves until they have had at least 100 hours of behind-the-wheel instruction. Time takes time. Experience and muscle memory take time, and there are no shortcuts for that. The more you can drive with your teen, the better off they will be. Even so, with all those safeguards in place, that's still ridiculously young and inexperienced to be driving on public roads in our busy city after relatively few hours of guided instruction. - Car crashes are the #1 killer of teens ages 15-19. - 50% of teen drivers crash in the first month of driving. - Teens are 400% more likely to die in a car crash than 25-34 year-old drivers. - Half of all teens will be involved in a car crash before graduating from High School. - 6 out of 10 teen crashes involve driver distraction. - Teen drivers receive the most calls from their parents. - Teen driver fatality risk quadruples with multiple young passengers (increases 44% with one passenger, doubles with two passengers, quadruples with three or more passengers). A couple of years ago, I read in a magazine (Costco? Geico?) about the non-profit organization B.R.A.K.E.S. 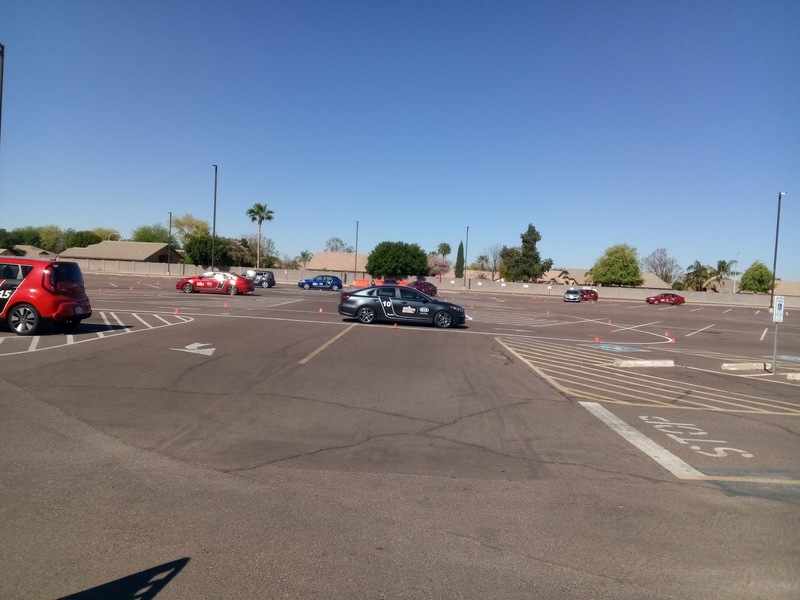 that offers free pro-active driving courses for teen drivers. Tragically, the founder lost both of his teen sons in a car accident. He turned this tragedy into a stepping stone to help other parents avoid the heartache of losing a young driver by starting BRAKES. Teens who complete BRAKES are approx. 64% less likely to get into a car crash in the first three years. When I first learned about BRAKES, Solomon did not meet all the requirements to sign up, but I got on their email newsletter to be alerted the next time they came to the Phoenix area. I was in the middle of frying food for dinner (stressful with little kids in the house who could get underfoot) when the email came that BRAKES was back in town. I stopped what I was doing, turned the stove off, put a big kid in charge of guarding all access to the kitchen, and immediately registered both Solomon and Isaac. 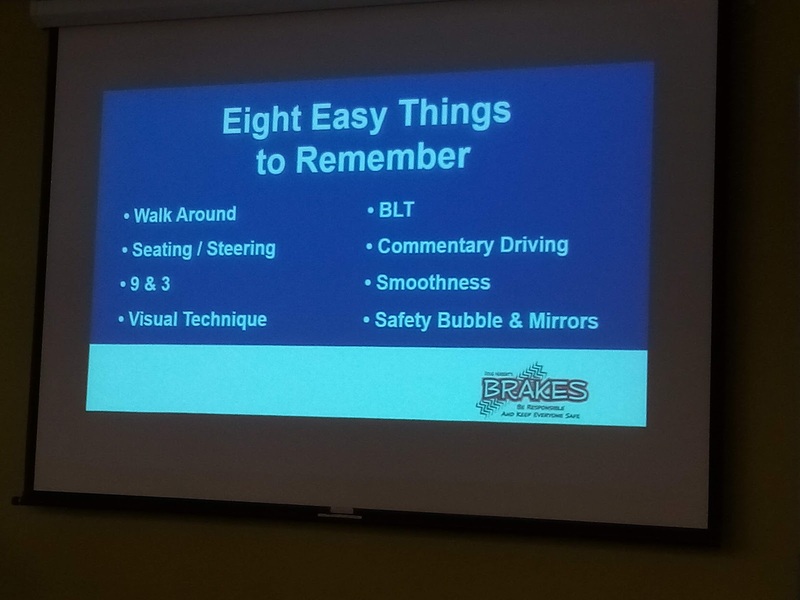 BRAKES offers four sessions on most weekends in different cities, but registration fills up quickly at most locations. Thankfully, I was able to secure a spot for both boys. Early one Saturday morning (check-in begins at 7:30 a.m.), I took Solomon and Isaac to the course while my husband held down the fort at home. The first half hour is spent in the classroom going over the basics of the day. The rest of the time (8:30 to noon) the kids are behind the wheel getting real-life practice. The ratio is 3 students per instructor, which is fantastic, and gives the students ample time to practice maneuvers over and over again. By comparison, when these same instructors teach law enforcement these same classes, the ratio is 9 students per instructor. The parents had another half hour or so of classroom instruction on how to best and most efficiently teach their teen drivers. Then we, too, headed outside to do some of the same exercises the kids were doing, except not nearly as in-depth. Even after over 20 years of driving experience, I learned a lot myself. I can only imagine how much more the boys benefited. The course covers skid avoidance, crash avoidance/slalom, distraction, panic stops, drop wheel recovery, and car control & recovery. 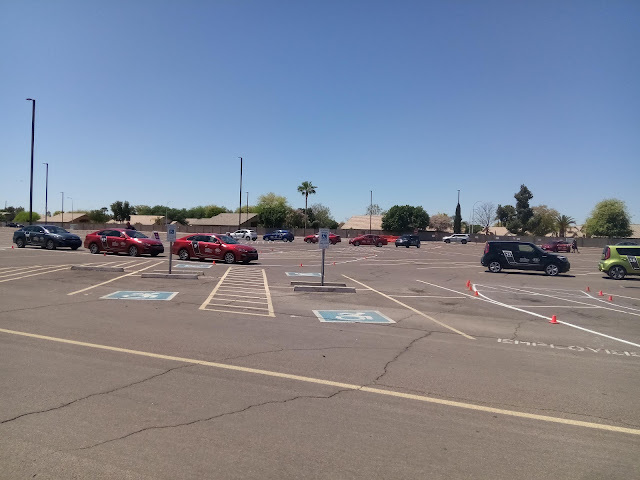 There were other exhibits on display that day: the Wal-Mart safety team had a semi on site for teens and parents to get into the driver seat and see first-hand how large their blind spots are. 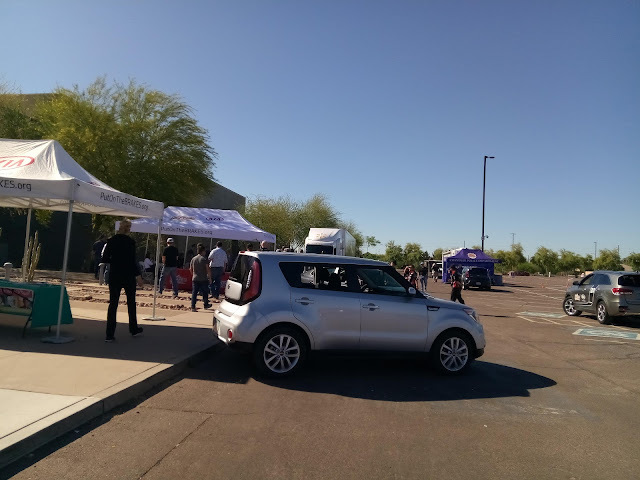 U-haul was there with a hands-on exhibit about safe towing and trailer loading (60% of weight in the front half of the trailer). The local police department had "drunk driving goggles" that the kids got to try out while trying to drive down a straight lane. At no point of the morning was anyone bored, not even during the classroom instruction. While the kids spent most of their time behind the wheel, there were brakes for the parents. The classroom had drinks and snacks set up, all of which were free. The entire class is free. There is a $99 deposit to hold the spot for the class, but if that deposit is paid by check, the check can be picked up at the end of the class. I do suggest that if you are at all able to, waive that deposit and let BRAKES keep it as a tax-deductible donation. This will help make it possible for them to continue offering these classes, and make them available for free to those who truly could not otherwise afford to attend. 3 out of 4 parents donate their deposit after experiencing the awesome benefits of the class first-hand (as did I). By comparison, the Bondurant driving school right here in Phoenix charges $1,225 for one-day high-performance driving instruction, and does not have the same high success rate. More than anything, I was touched by meeting Mr. Doug Herbert, the founder who lost his two sons, in person. He is a very humble man, who truly wants to save other teens from the tragedy that forever altered his life. Every member of his team was outstanding. Having put on many large-scale church events myself, I had a faint idea of how much planning and logistics must go into pulling off four classes with 45 students each in two days. I looked over their schedule for the day - they pretty much work without taking much of a break from 6 a.m. to 6 p.m. on both Saturdays and Sundays, most weekends of the year, and traveling between stops with all their cars and gear the rest of the week. It takes a special person that wants to get into a car with a cocky (or timid teenager), and teach them how to drive responsibly, how to speed toward an obstacle, pedal-to-the-metal and to swerve at the last moment. It's not something I would ever volunteer to do if it weren't for my own kids. I have even told them there are three things I never want to teach the grandkids: potty training, how to read, and how to drive. If I survive teaching those things to my own 10+ kids, I will go into retirement in those areas as grandma. Hopefully. If you have a young driver in your family, I encourage you to take a look at the class schedule to see if one is offered in your area, and to sign up for the email to be alerted when there is one in the future. I am already looking forward to taking John and my other kids there in the future, Lord willing. - What type of foods do you make? - How much food do you make? - How much money does it cost? - How much time do you spend in the kitchen? 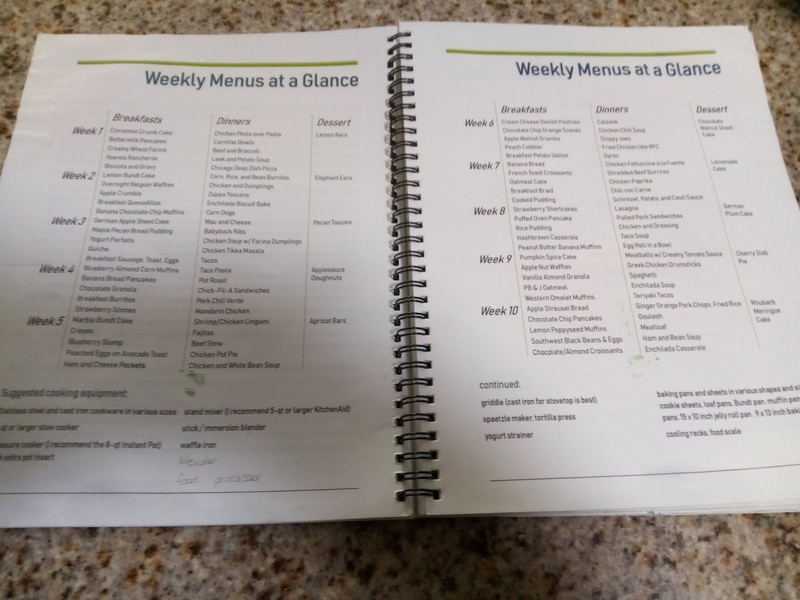 - Do you menu plan and use grocery lists? To answer these questions and give you a glimpse of what things look like "on average" for us, I am doing a 4-week mini-series documenting what we eat and spend over the course of one month, broken into four weekly posts. As to the types of food we eat and the menu planning, I use my very own cookbook, Busy Family Menu Planning. Each week contains 5 breakfasts, 5 dinners, and 1 dessert. You can find out more about the cookbook here, and even sign up to get Week 1 free. I add to these weekly menus by incorporating one or two other breakfasts and dinners each week that are either a special meal for holidays and birthdays, a new recipe I'm trying, etc. 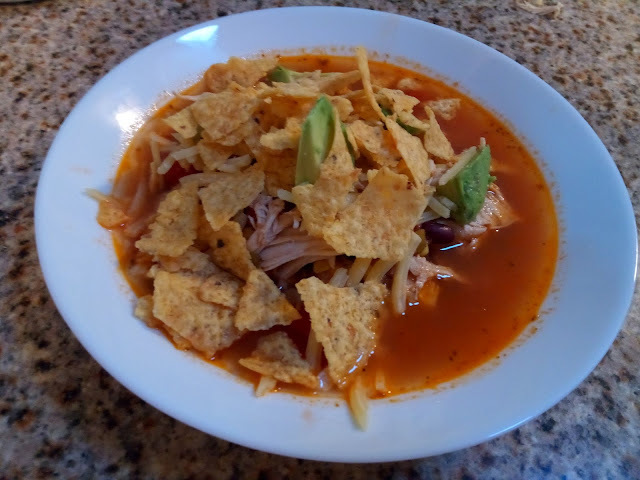 I also add a list of "other" foods I am making each week, such as bread, kombucha, broth, etc. The last couple of weeks, we had done Weeks 4 and 6 from the cookbook. Due to our schedule, some meals got pushed back so I finished up the odds and ends left from those two weeks. 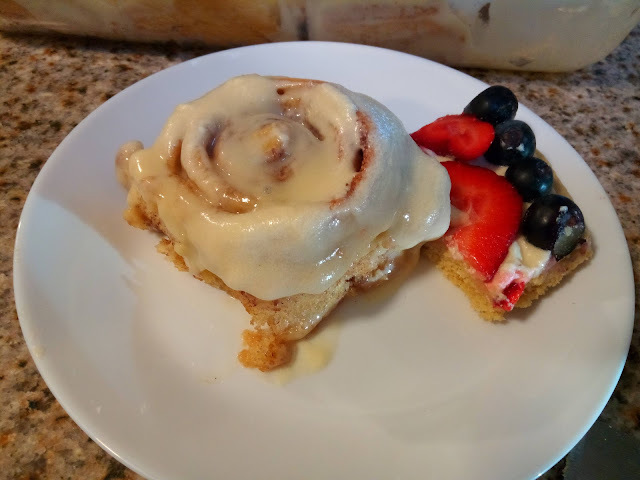 I also make a list of Weight Watchers friendly alternative breakfasts and dinners for myself, but will not include that list here as it's off topic and only applies to me. Please note: That was what was on the menu. As it ended up, my two oldest boys ended up working late a couple of days last week and ate dinner out instead of at home, which made for extra leftovers (1 teen = 2 hungry adults), shifting some of last weeks menu items to the current week. 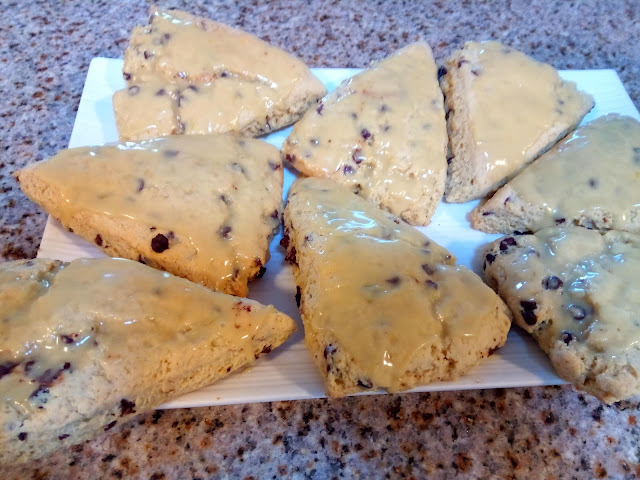 We were also too busy on Saturday with church events to have the Easter dinner then, and pushed that back into the current week, so you will see those items again in the next post in this series. 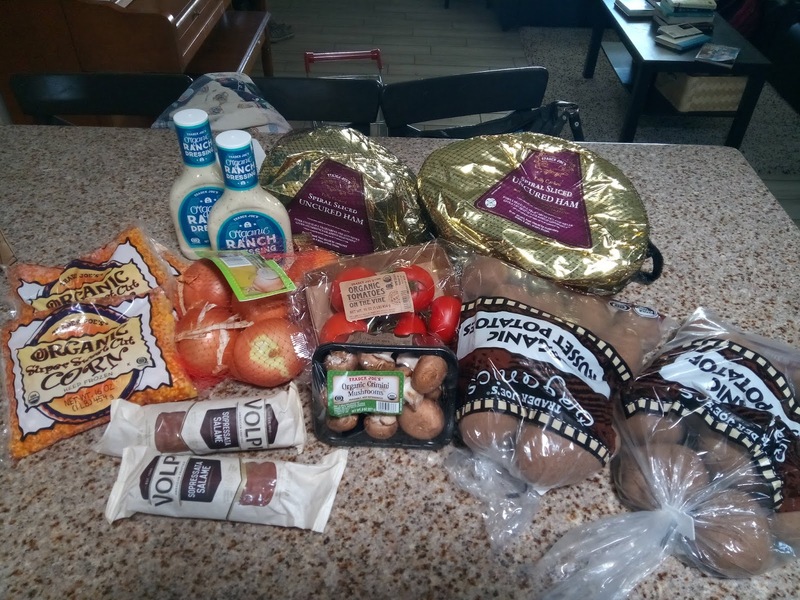 That only leaves a few grocery stores I have to hit up in person: Costco (Instacart prices for Costco are higher than the store so I try to shop there in person to save money), Trader Joe's, Alpine Valley bakery outlet, and Superstition Ranch Farmers Market. Of these, I typically only go to Costco weekly, and get enough at the other stores to avoid going there but once every 2-4 weeks. 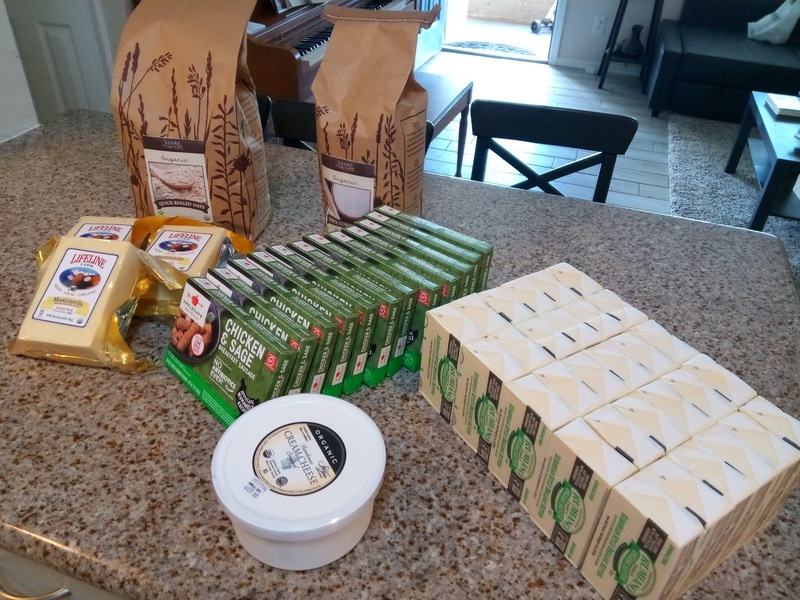 Last week, with so many ingredients having shifted over from the previous two weeks, I already had a lot of ingredients in the house. For example, I didn't have to buy any meat last week because I already had plenty frozen on hand, as well as a large variety of produce, 6 dozen eggs, and many other staples. On the other hand, I bought extras for the Easter dinner, and ordered other foods that will last us longer than this week, such as the monthly Azure delivery. Like I said in my previous blog post, we buy about 95% of our food organic, buying conventional only when an organic alternative is not available. This reflects in higher (though still very affordable) prices. 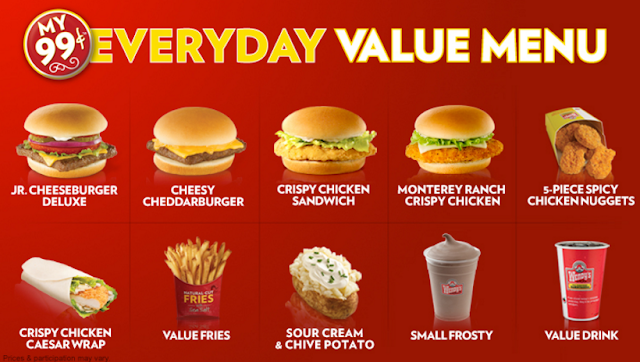 Also, I am only including the cost of foods I purchased, not other things I got at the stores listed below. 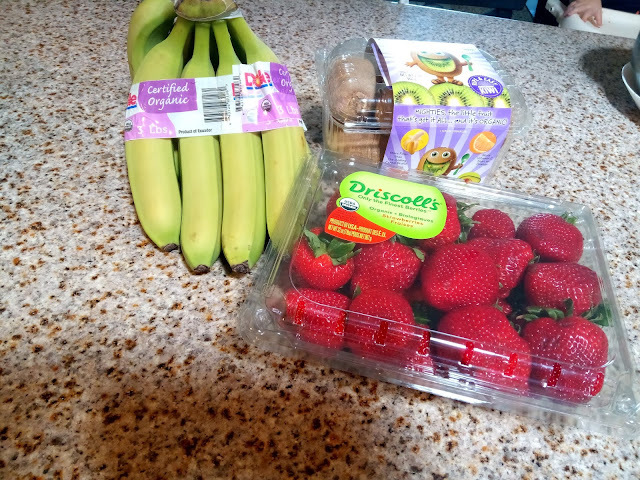 For instance, I bought Easter gifts for the kids and paper goods at Costco, as well as supplements, cleaning supplies, and other household goods at Whole Foods, Sprouts, and Azure. They are neither pictured nor included in the prices listed. I like to get to Costco 15 minutes before they open, so I can park my big van close to the store before things get crazy, and be in and out quickly. This also coincides with Peter's morning nap, so I can leave him home with my husband. I also leave the older kids home so they can do their school work, and only bring one big helper plus Stephen (6), Boaz (4) and Chloe (2). As much as possible, I try to stick to my list, and avoid any impulse purchases (a real temptation at Costco!). Having set meals and a prepared list helps me not to buy extras "just in case" I might need them or because I'm not sure if I'm low on a particular ingredient, since I know exactly what I actually need. This is above my target budget of about $500/week, but weeks with holiday meals usually are (the hams alone were almost $100). 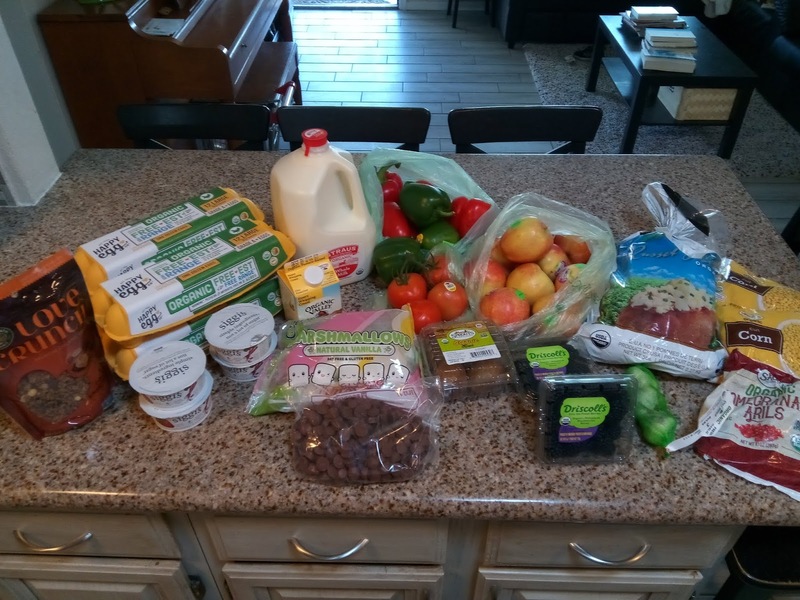 Plus, like I said, I ended up shifting several of the meals over to the current week, including the big Easter dinner, so this weeks grocery bill will reflect that. 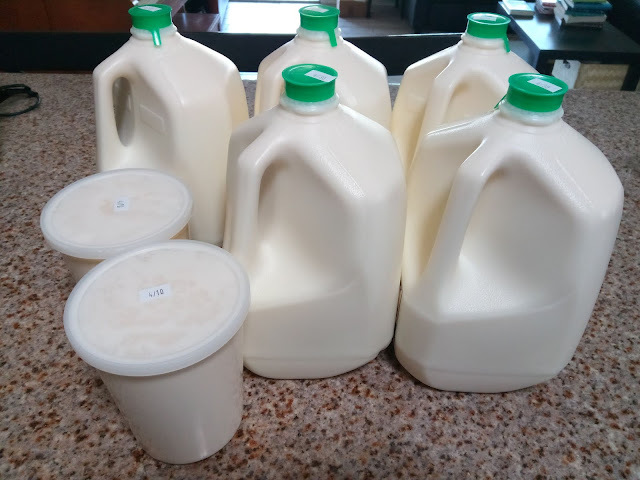 With that, I am feeding a total of 12 people: 2 adults (one pregnant), 3 teen boys (who each eat like two adults), and 7 kids (who eat like adults by the time they reach about age 8 or 10). So really not expensive considering I spend about $2.25 per person, per meal on average for eating mostly organic and all clean foods. "I can't afford to eat organic"
Regular readers of this blog might know that our family eats 95% organic. This is not driven by religious conviction, nor a case of being food snobs, but the knowledge that garbage in = garbage out, and that every dollar saved on food that is not just inferior, but toxic, translates into many more dollars spent in doctors' offices. Oftentimes, the objection is raised that organic food is too expensive to afford, because organic ingredients cost four times as much on average as conventional. I am here to propose that most people could afford to eat all organic, if they wanted it enough to make sacrifices in other areas to afford the increased food expense. Now again, this is not a question of "right or wrong," so if your priorities are different than ours, more power to you! But if eating organic is a high priority to you, I am here to assure you that chances are, you could make it work, at least gradually and more and more over time. As the saying goes, "When you find a destination, you find a way." By this, I literally mean stop eating out altogether. This is a radical idea to most Americans, where eating out is a regular staple, and drive-thru is a critical component of feeding the family. But what if I told you it doesn't have to be this way? The whole rest of the world functions just fine eating every meal at home. Growing up, it was a very rare occurrence for us to eat out. We packed a snack for school, and got out of school in time every day (1 p.m.) to have lunch at home. If we went on a trip, we packed a sack lunch or picnic. On vacation, my mom cooked. I didn't feel like I was missing out, because I wasn't. Obviously, any home-cooked organic meal is going to be a lot cheaper than any food purchased at any sit-down restaurant. 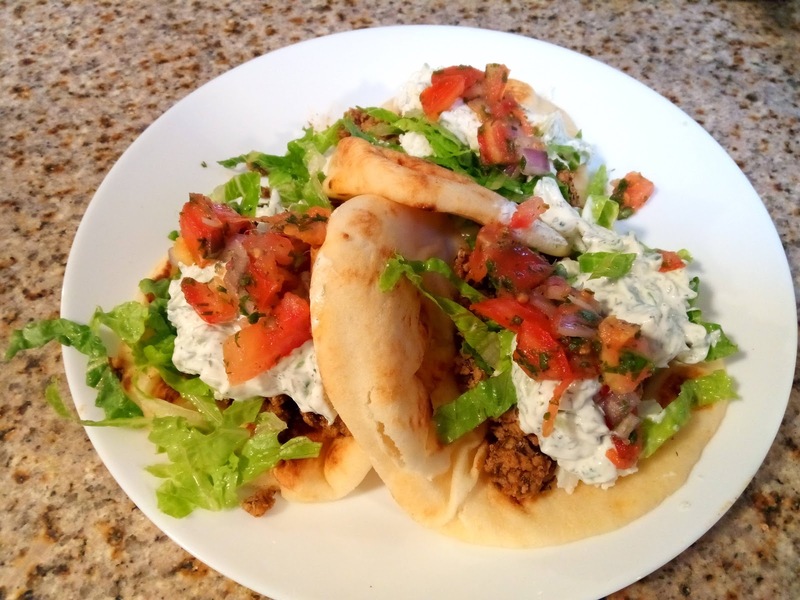 But I am here to prove that even the cheapest drive-thru off the Dollar Menu costs more than cooking from scratch with organic ingredients (see end of this post, where I do a price breakdown). How do you prevent eating out? 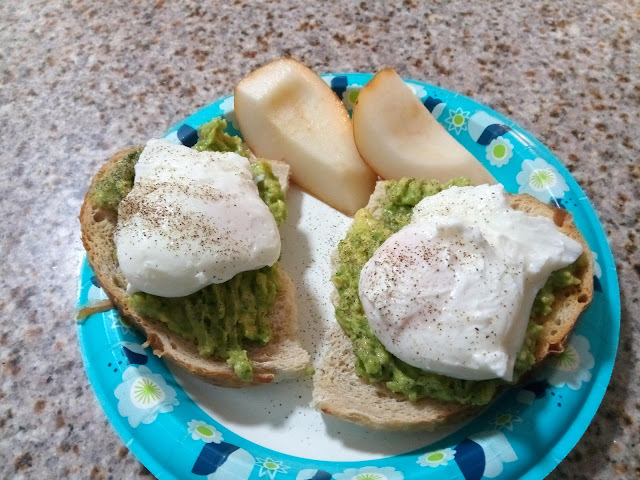 Plan to be home for mealtimes, teach kids not to expect to eat between meals (no snacking), make a weekly menu so you have a plan for every meal of the day, and remind yourself of the financial and health costs of eating out. For me, there is zero temptation to quickly drive through somewhere when our errands took longer than expected, and hungry kids are growing impatient. When you eat well at home, eating out has far less appeal, and McDonald's and the like has zero appeal. We have not eaten there (or any other junky fast food place like Burger King, Taco Bell, Wendy's, Jack in the Box, etc.) in at least a dozen years, and short of a survival situation, I have no plans to ever go there again. I wouldn't even eat there if they offered free food. It's not just expensive, but also tastes gross and is incredibly unhealthy. Recently, while we were displaced from our home for 4 months, we were forced to eat out far more than usual, and by the end of it all of our health was suffering. After just a month back home, we are all feeling much better again. The quality of what you eat really does make a noticeable difference. But what about those special occasions, when you just want to eat out to make it more special? Well, chances are, there are times when you receive gift cards for restaurants, especially if others know you prefer quality family time over more stuff and clutter. When we eat out, it is virtually always from such gift cards. You can look forward to those times as even more special when they are less frequent, and you won't feel like you are being wasteful since it was a gift. By "from scratch," I mean with as basic of ingredients as possible. That means as few boxed, canned, and jarred ingredients as possible, such as making your own spaghetti sauce instead of buying it ready, buying large blocks of cheese instead of pre-shredded and sliced, etc. Along with this goes shopping sales, buying in season, stocking up on bulk items when they are at their lowest price, and off-setting recipes that are more expensive with those that use cheaper ingredients. 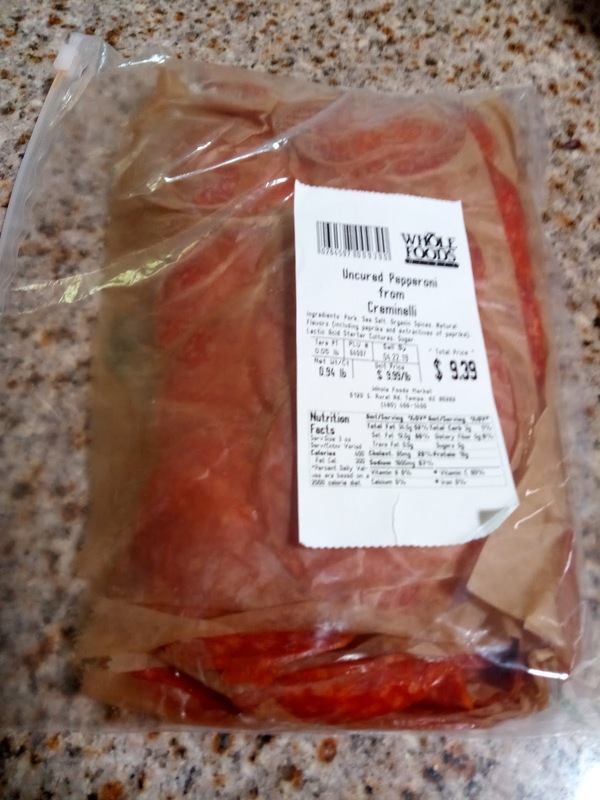 There are many posts on this blog with ideas how to save money by shopping sales, through co-ops, online such as Azure Standard, etc. Basically, you want to cut out as many middlemen as you can, each of whom adds their own profit margin. Resources vary greatly depending where you live. In Arizona, "99 cents only" stores always carry organic produce, some more than others. Alpine Valley Bakery sells direct to the public in a little outlet store in Mesa, where loaves of organic breads that sell for $6 at Whole Foods are anywhere from $.50 to $1.50 each. Superstition Ranch Farmers Market in the east valley has some of the lowest prices on produce in the area, including on organic items. 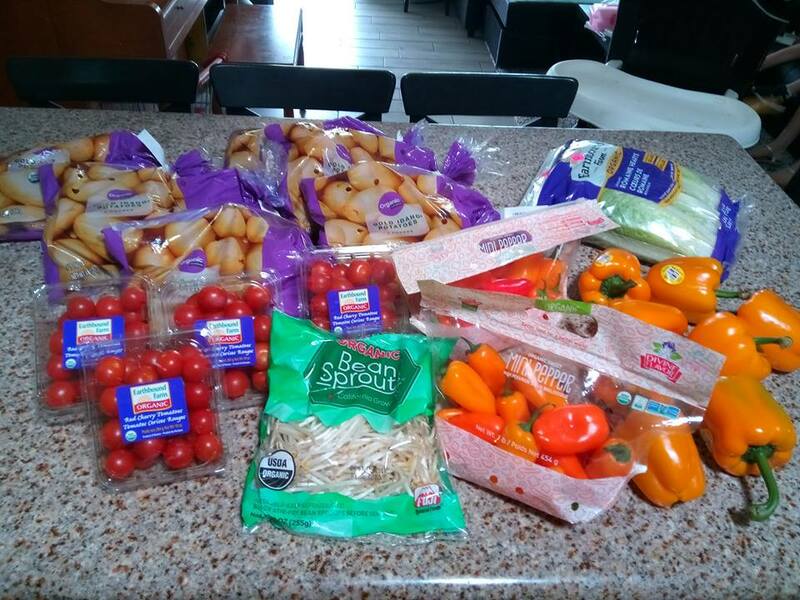 There is a produce program operated by Borderlands Foods Bank where they sell 60 lbs of rescued produce for $12 at locations throughout the Valley, which funds are then used to operate their food banks. Sprouts has double-ad days on Wednesdays, which means both the previous as well as the upcoming week's sales are valid. Costco is the largest seller of organic foods nationwide, with prices that often rival conventional at supermarkets. On and on - to find resources in your area, you might want to join a local "crunchy" Facebook group. Each area has these resources, you just have to find them, rather than shopping over the counter for everything at a supermarket like Whole Foods. Not to knock Whole Foods, as they do have some great prices and sales in their stores, but it's the exception not the norm. Proper planning will prevent much frustration. If you are shopping with kids, the best time to go to the store is after breakfast on a weekday. Stores are at their emptiest, kids are fed and rested, traffic is a breeze - basically, you are setting yourself up for maximum success at minimal risk of frustration. Better yet, if you live in an area that has Instacart or a similar grocery delivery service, use it! In our area, for most stores, prices are the same as in-store. You will save time, effort, gas, and not run the risk of impulse shopping. Another area of planning is menu planning. Menu planning and shopping accordingly will prevent trying to figure out at 5 p.m. what to serve for dinner, only to make a run for pizza (again). 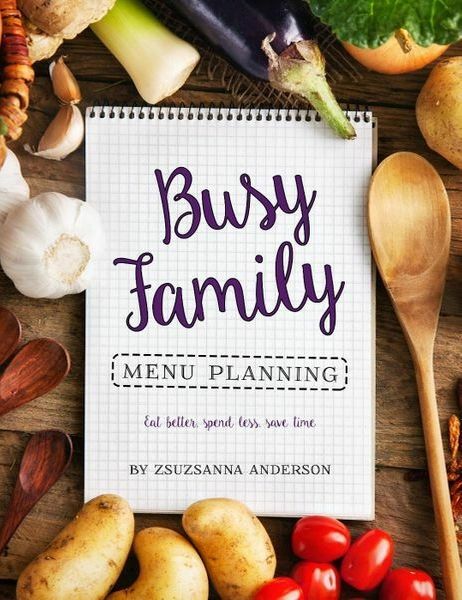 Of course I am biased, but I LOVE my "Busy Family Menu Planning" cookbook I published a few months ago. I myself use those exact menus and recipes every week. It saves time, mental energy, and money. I have received nothing but rave reviews. You can now even purchase a printable version of the weekly menus and shopping lists (not the recipes), which makes it a snap to add ingredients or notes, and to pin each week's menu to the fridge for easy reference. In the back, the cookbook contains a long section of staples that can be purchased ready, or made yourself for a fraction of the cost, such as homemade bone broth. Finally, not buying foods that offer only "fun factor" and zero nutritional value can save a lot more money. This includes all soda, juices, and other "diabetes in a bottle" beverages (alternatives: water, unsweetened fruit and herbal teas, kombucha, etc. ), unhealthy snack foods such as chips, crackers, ice cream, cookies, etc. (alternatives: no snacking, fruit, cheese sticks, yogurt, etc. ), and last minute impulse-purchases to appease tantrums and bribe kids. Many frugal families already cut costs in all possible areas, such as not having cable TV, having an affordable home and vehicles, etc. so I won't belabor those points here. The only area I would like to point to, because it is directly related to the quality of food, is healthcare costs. Every penny saved by eating inferior foods will be spent (and then some) on higher doctor bills, whether that be for chronic health conditions, allergies, cancer, behavioral issues, etc. that are triggered by toxins in conventional food. 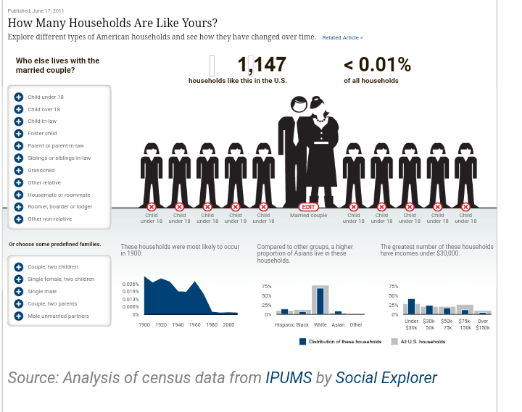 Most families, if they took the total cost of what they spend on all food (eating out included) and health care (health insurance plus bills not covered) would find they spend at least as much per capita as we do in our family. We have been members of Samaritan Ministries for years, and absolutely love it. Due to our family size and coverage level, we are in the most expensive tier, at $495 per month. Add to that about $2,500.00 per month for food, for a total of $3,000.00 per month for a family of 12, or about $250 per month per person. I am certain that factoring in all food and healthcare costs, the average family spends as much or more than we do per capita each month. While our food cost might seem astronomical to those with smaller families, even including all our healthcare spending, it works out to just under $50 per person, per week, which is slightly less than the national per capita average of $51 per week for food alone (source), and that's in spite of the fact that the vast majority of people eat conventional food and spend far more than we do on healthcare. During this same time frame (1900 to today), the percentage for healthcare spending has skyrocketed, right along with rates of chronic conditions and cancer. You get what you pay for. Modern pesticides, fertilizers, and GMO foods have drastically reduced food costs, but the quality of such food is greatly diminished, and this "savings" shows up in the form of medical bills. We for one would rather spend the money on groceries than doctor bills. 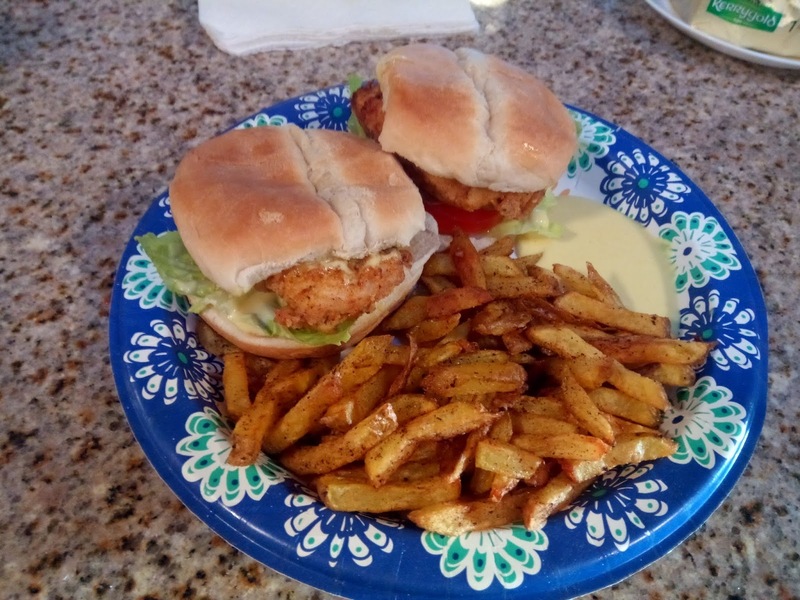 And now, just for grins, let me break down tonight's dinner, homemade Chick-Fil-A sandwiches with fresh fries. The picture dwarfs it, but this is a 10" dinner plate with standard-size hamburger buns. In other words, A LOT of food. Please consider that this includes one grown man (my husband) and three teenage boys (who each eat twice as much as my husband does - literally, no joke), which more than averages out the fact that the little kids eat less. 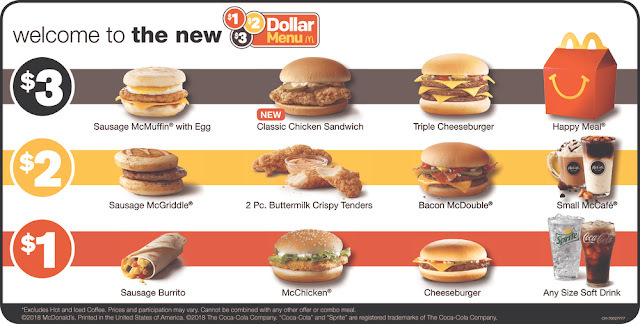 Now tell me, could you feed a family of 12 for $30, even at McDonald's? Who can fill their family members with $2.50 worth of items off the Dollar Menu? As the old saying goes, "Where there's a will, there's a way." Like I said, eating healthy is not a matter of right or wrong (unless you are grossly gluttonous), so this is more of a personal conviction. This post is intended to inspire you to find ways to make it work if eating healthy and organic is a high priority of yours. We can't imagine eating any other way. It's just too expensive not to. Caveat: I know there are countless families out there who already observe all tips mentioned above, and their budget is maxed out buying conventional. If that's you, please don't feel bad. You can only do what you can do with what you have been given. God can bless you with excellent health if you are good steward of the things you have been provided, no matter your circumstances. 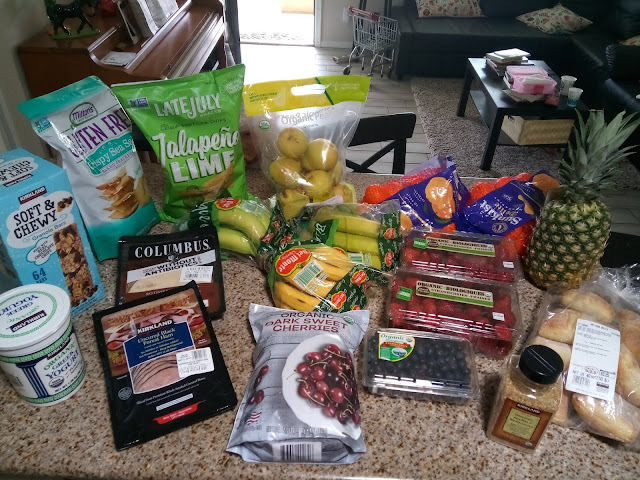 This post is intended for the average American, who spends twice as much money each month on fun drinks and snacks than they do on fresh fruits and vegetables. P.S. 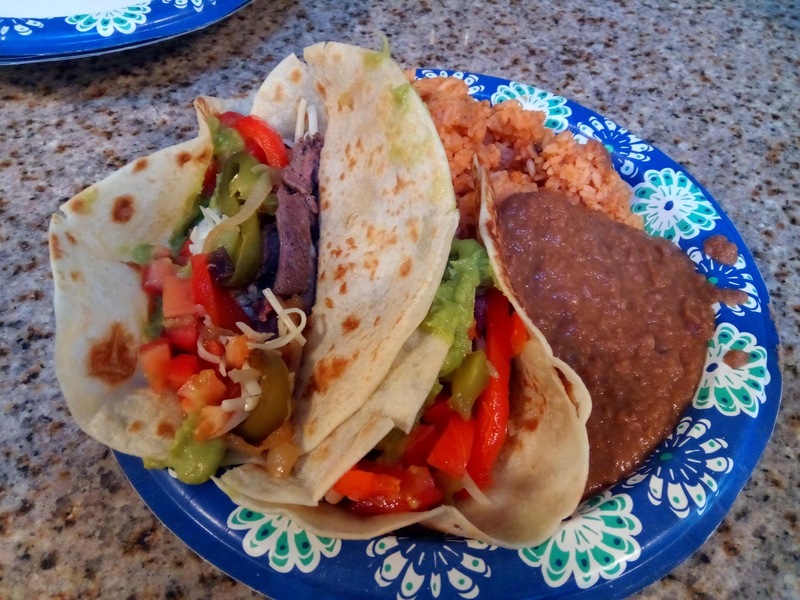 No hating on the paper plate. I can only run the dishwasher so many times per day. Dixie paper goods are what Amazon now labels "attractive modern romance." So in our house now, we eat a lot of food off the "romantic," rather than the "real" dishes. I mean, what's more romantic than not having to do dishes, right??! ?